One of the projects currently in the REVOLT garage is a Porsche 911. We did not perform the original conversion, but we were hired to convert the pack to lithium. 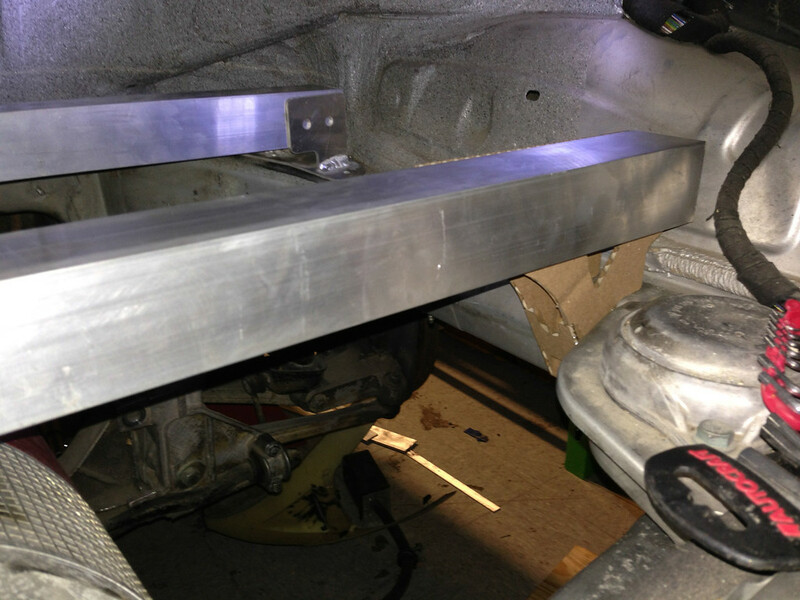 After evaluating the project specs and consulting with the client, one of the first things Chris did was to make a 3-dimensional scan of the engine bay to determine where the brackets for the pack would be mounted. From that, he created a virtual model of the part in CAD software. Working in CAD allows us to quickly design the components we need and produce them in a reproducible way if we work on the same type of car in the future. However, there are often elements of the vehicle (cables, overhangs, etc.) that aren’t always obvious in the modelling software. This can lead to frustration if we produce the part in metal before discovering the conflict (we do try to learn from our mistakes). 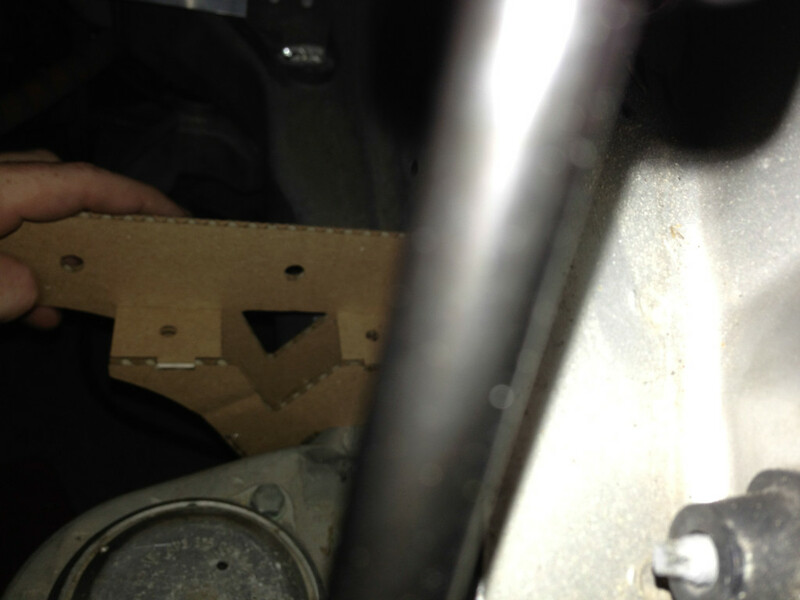 To avoid expensive mistakes (and frustration), we prototype the parts we make. 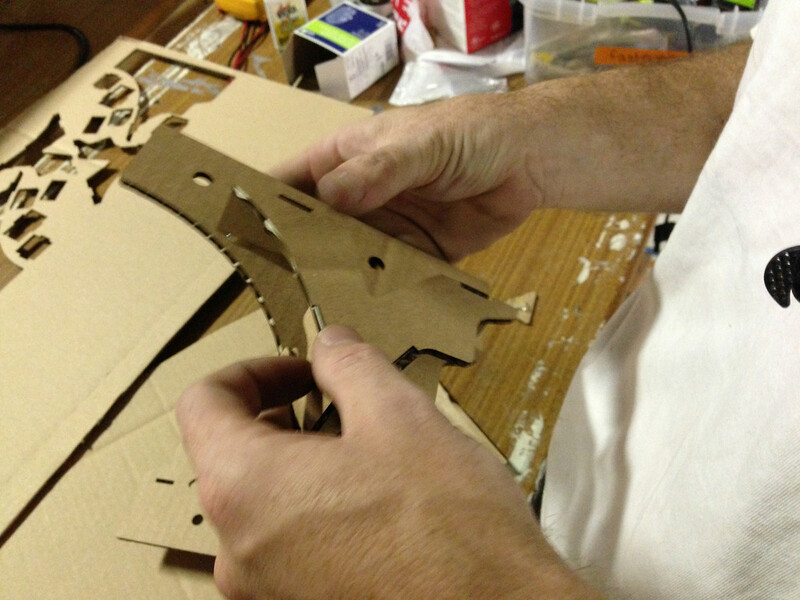 One technique we use when the parts are destined to be made from sheet metal is to laser cut the parts and build prototypes in similarly dimensioned cardboard. 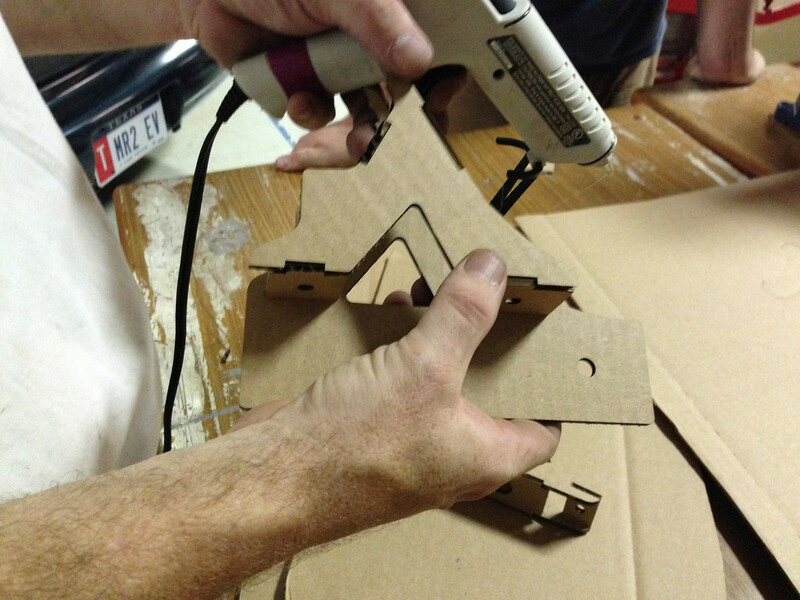 By creating our part in cardboard, we discover the nuances of production before committing to metal, making our process easier to replicate, faster to troubleshoot, and less expensive than finding out the key part of the assembly will interfere with a feature after we’ve spent time and money to produce it in metal and prep it for install. If you’re in the Austin area and need access to prototyping equipment (or just want to be around makers), you might wish to consider joining the ATX Hackerspace. They have tours on Tuesdays if you want to check out the space. If you see us (since we might be working on one of our projects), come on over and say hello! This Snazzy Revolt shirt could be on you! We had some bowling shirts embroidered for us by an Austin promotional company (Aztec Promotional Group) and we think they’re pretty snazzy. If you’d like one, they’re now available in our online store. We have limited quantities. We’ll list our available inventory, but until then, please contact us to check if one is available in your size/color. Beginning with his passion for solar panels, Aaron chronicled his progress with one story on the origin of REVOLT at the DorkBot transportation theme at the North Door on Monday (August 19). The panel speakers presented prototype technological transportation advances with an unmanned drone and the potential for message delivery (as well as the current legal atmosphere), moved through the practical potential and pitfalls of high-speed rail and maglev in Texas (and hyperloop), and ended with Aaron talking about the frustration of the gap between technology potential and implementation (and how sometimes, you’ve just got do take matters into your own hands). We thank our audience and DorkBot organizers for including REVOLT as a speaker at the event.